MCM will once again be sponsoring the BALI National Landscape Awards 2018. Returning to category sponsorship of these prestigious Awards – the flagship for the UK landscaping industry – MCM will be supporting, promoting and advocating all that is at the pinnacle of service and professionalism in the industry. Leading the way in the supply of topsoil, primary and secondary aggregates and construction materials to award-winning regeneration projects, the fitting category to which MCM will add their name is that of REGENERATION PROJECT OVER £500K. The Principal Award Winner in this category in 2017 was Talbot Farm Landscapes for their breathtaking landscape at the Parade Ground, Hyde Park. The 42nd BALI National Landscape Awards celebrate the best of the best in the realms of landscape construction, maintenance and design, as well as supplier and employer excellence. 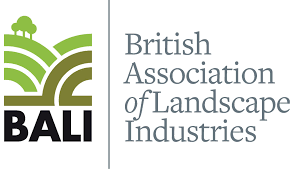 Proud to be associated once again with the BALI National Landscape Awards and the top class of UK landscaping, Shazna Ali and her team are looking forward to the Awards Presentations themselves on Friday 7 December at Grosvenor House, Park Lane. The Principal Winner of each category will then be announced.